Some Cornwall people are unhappy with the way their teeth look but many mistakenly assume that cosmetic dentistry is far too pricey to pursue. Sure, a complete mouth reconstruction can be a steep investment. Consider the cost of dental school and post-graduate training for a master level cosmetic dentist. Consider the expense of individually creating multiple restorations at a high-tech dental lab. Consider the cost of setting up and maintaining a full-service dental practice or laboratory. Dental bonding has a wide range of applications for unappealing teeth. Bonding can correct a tooth that is damaged, chipped, short, or discolored. It can can also correct teeth that have gaps in between them. First, your tooth will be slightly (but painlessly) roughed up to help the resin adhere. 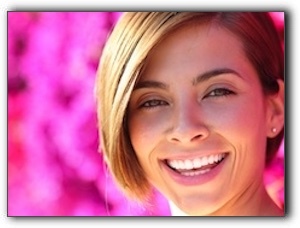 Your dentist will use a shade guide to ascertain the specific color of composite to match the existing teeth. Your dentist will apply liquid composite resin on the tooth, layer by layer. He or she will carefully shape and polish it before it hardens.The tooth is then covered with a conditioning liquid that aids in adhesion. Once the resin is bonded, it is further molded to the exact shape for your bite and appearance. A laser helps quickly bond the resin in place as it hardens. Further shaping and polishing, if necessary, complete the procedure. The result is a beautiful smile. Bonding is a simple and cost-effective method for perfecting your smile. Call today at to set up an appointment at 855-976-7250. We invite you to meet the amazing team at Cornwall Dental Arts in Cornwall. We are proud of our highly regarded reputation for important personalized attention and first-rate care. Our family friendly team can answer any questions you have about our top services: family dentistry, cosmetic dentistry, and restorative dentistry.